It’s mixed emotions for LG Motion Managing Director, Gary Livingstone, this week following an eventful charity cycle ride to Paris last week. On the plus side, he completed the 265-mile journey from Basingstoke to Paris as part of the Ark to Arc challenge, which is helping to raise much-needed funds for the Ark Cancer Centre in Basingstoke. 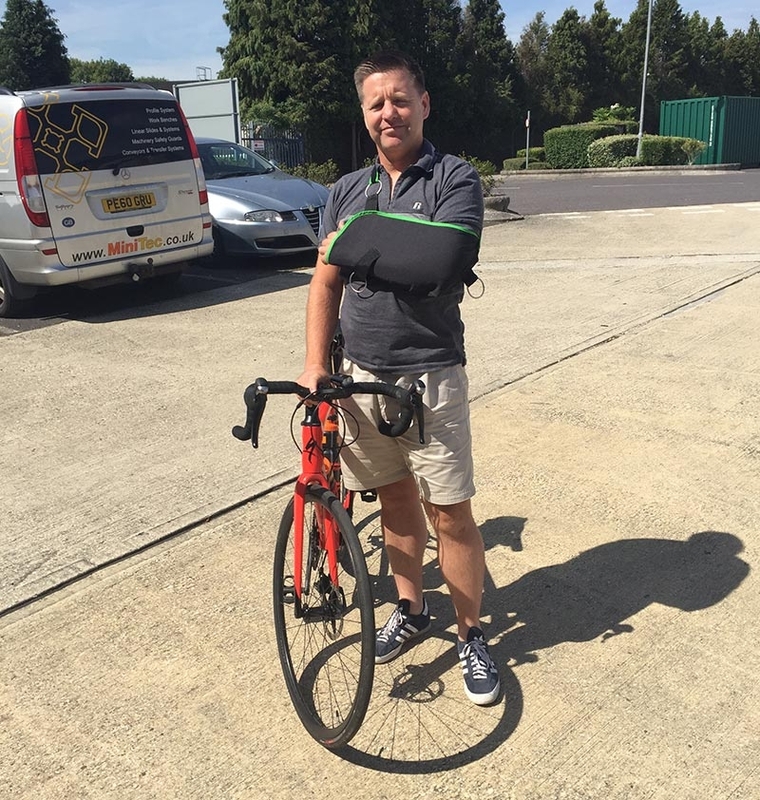 But, in a serious accident on the last afternoon, which resulted in one of the riders breaking a collarbone, Gary could not escape the collision and managed to fracture his arm. I knew something was wrong, but assumed it was less serious than it was as I could still ride the bike and was desperate to complete the ride, which finished by the Eiffel Tower. One one hand (no pun intended) I am frustrated with the outcome of my arm, but riding into Paris was something special. Not only that, the team has managed to raise somewhere in the region of £70,000, which helps put things into perspective, especially when you consider the cause. You can still sponsor Gary online for the Ark-to-Arc challenge for Ark Cancer Centre Charity until mid-August.